It's contract-free, pay-as-you-go 4G hotspot built around the concept of "Social Bandwidth" and Facebook integration. People who want a 4G hotspot they can have just in case, but don't plan on using it regularly or don't plan on using very much data. It's a tiny little rounded squarish thing with an on/off switch and a microUSB port for charging. It's got three little LEDs, one that lights up green when it's on, one that lights up green when it's able to generate a Wi-Fi network, and one that lights up red, yellow, or green to indicated 4G strength. When you turn it on, the hotspot will start broadcasting an unsecured—and unsecurable— network named "[Your Name]'s Karma." You can change this to "Free Karma by [Your Name]," or "Karma Wi-Fi". When you connect to the hotspot, you're asked to connect with Facebook which involves installing the Karma Facebook app. From there you're off to the races, with a complimentary gig of data as a one-time bonus on your first activation. If you're connecting to someone else's hotpot, you'll go through a similar set up process, except with a step where you can interact with the hotspot's owner The owner of the hotspot gets 100MB too. If you run out of data (either of you) you'll be prompted to buy some more at $14 per gig. All the data you buy is associated with your Facebook account, so you can use it on any Karma hotspot you find later on. It can be free. If you don't use much data and you're out in public a lot, you can theoretically use this hotspot without ever paying for data. 100MB is plenty of data to check email, Twitter, Facebook, whatever, and you can just keep racking it up by dangling your unsecured Wi-Fi network in front of Internet-hungry strangers. Oh, and you get a free gig to start off with. The Facebook integration. Yes, this is inextricably linked to the best part, but it's also just dumb. If you're not a fan of Facebook, you'll find the prompts to make unsolicited and frankly weird comments on a friend or stranger's Karma activity awkward and stupid. And even as the owner of the hotspot, having it necessarily attached to that online profile can be kind of obnoxious. If you don't have a Facebook account at all, you're out of luck. Well, unless you make one. If your privacy settings are strict enough, strangers' interactions with you seem to disappear into the ether. So they'll get that extra 25MB for shouting "hey doofus" at your wall, but the message doesn't show up on yours or theirs. Weird as it is, this is probably a good thing*. *The guys at Karma assure me that such a shoutout should appear on the shouter's page if not the shoutee's. In my test, the interaction showed up on the shouter's wall, but not the message. The shouter in this case was a brand new (and fake) Facebook account though, so it could be a weird bug having to do with the account not being totally set up, or something. We found the Karma hotspot's signal to be available and strong pretty much anywhere a normal cell signal was. But Clearwire—which powers the hotspot—is only available in 80 cities, so plenty of places won't get connection at all. Do you need backup 4G connectivity, but not to use all the time? Is there Clearwire coverage in your city? Then yes. 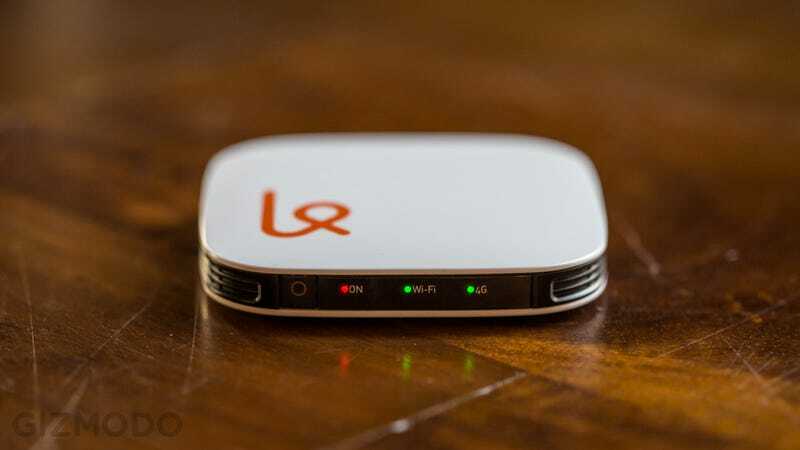 At $79 a Karma hotspot isn't too expensive by hotspot standards, but of course the real value comes in the form of not having to pay to not use it. It's not the ideal hotspot for streaming a bunch of video or something, but it can be a great backup option to keep in your back pocket in case of an Internet emergency.